The actor Ichikawa Ebizō V (also shown in the print EA1983.47) specialized in male hero roles and was said to be the greatest kabuki actor of the nineteenth century. 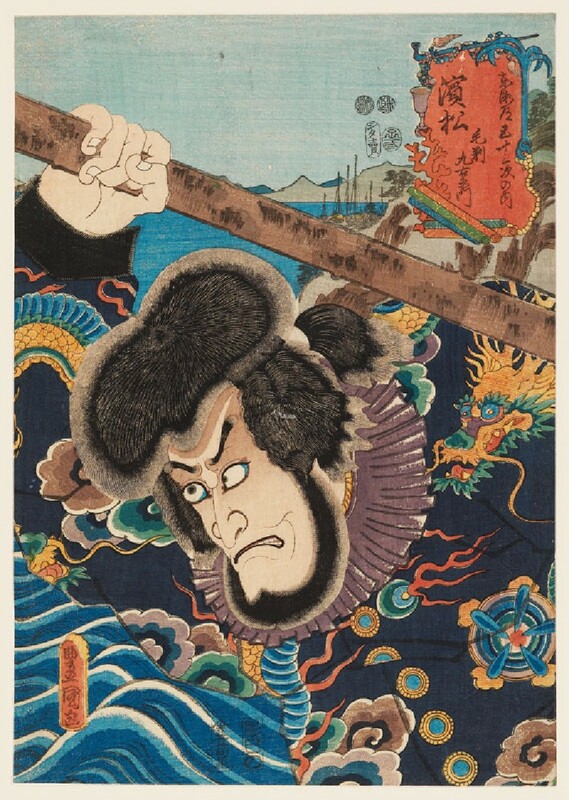 The story of the villainous Kezori is based on several real-life incidents in the early 1700s, in which smugglers were captured and executed by the authorities. The original version was a puppet play by the playwright Chikamatsu Monzaemon, first staged in 1718, and it was later adapted for the kabuki stage.